Castors for shopping trolleys, baggage trolleys, transport trolleys, refuse containers, pallet trucks, heat-resistant castors, you name it and Tente has castors for it. 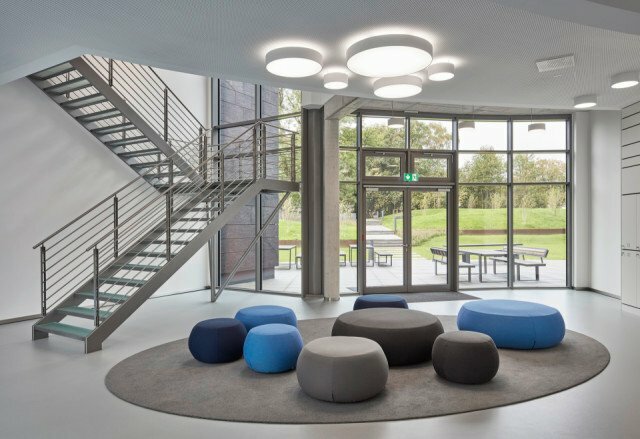 The German company not only develops and produces wheels and castors for industrial and heavy-duty applications, for instance, but also for lighter uses, such as design castors for chairs and cabinets. One of Tente’s specialties is hospital bed castors. When patients are moved from one ward to another, they should experience as little inconvenience as possible; being ill is bad enough. That is why Tente offers an extensive range of smoothly running castors. 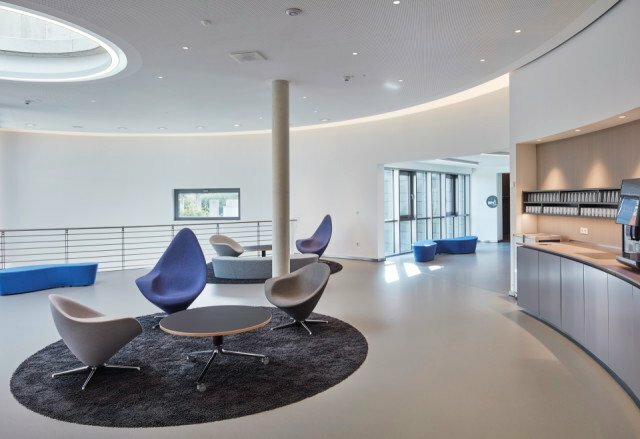 At its headquarters in Wermelskirchen, Tente has built an Experience Centre enabling users to experience the difference between the various castor options. 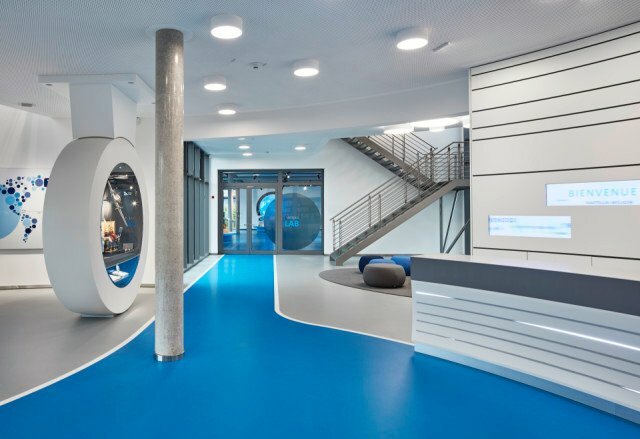 The flooring makes up an essential part of this test centre. For a true-to-life experience, Tente wanted to have a separate track, on which customers can try out moving the hospital beds. A fine design challenge for the specialist capable of designing, producing and installing such a floor finish. True to Tente’s corporate motto of ‘Better Mobility. Better Life’, the German manufacturer with subsidiaries in 20 countries not only develops wheels and castors, but provides mobility. A wheel is a wheel, but a consistent focus on current and future customer needs leads to better solutions. Through continuous innovation, Tente re-invents the wheel time and again. 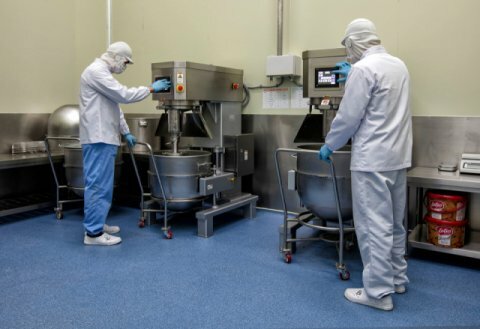 Tente’s Medical division, supplying castors tailored to care environments, is a case in point. Working closely with key players in the global hospital bed market, Tente has developed a wide selection of high-quality castors for hospital and care beds and is, for instance, the largest manufacturer worldwide of hospital bed castors with a central locking mechanism. A wide selection means that the customer has ample choice. But how do you determine which castors are the best for your hospital? By testing them. 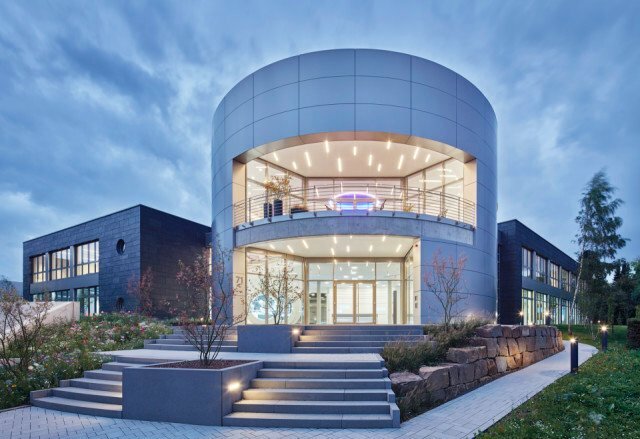 This is where the Experience Center in Wermelskirchen comes in. Customers in the care sector can try out a variety of castors here in order to make the best choice for their hospital or institution. 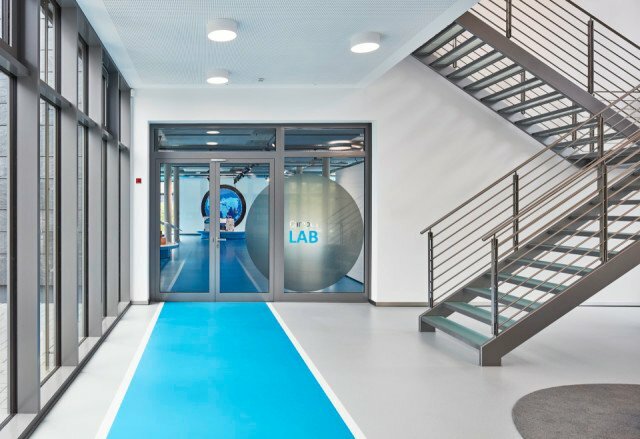 Given that the flooring is a vital part of the experience, Tente called in the expertise of Bolidt. The castor manufacturer wanted the flooring to feature a dedicated track for testing the castors. This required a special design and the right flooring system to mark the track. 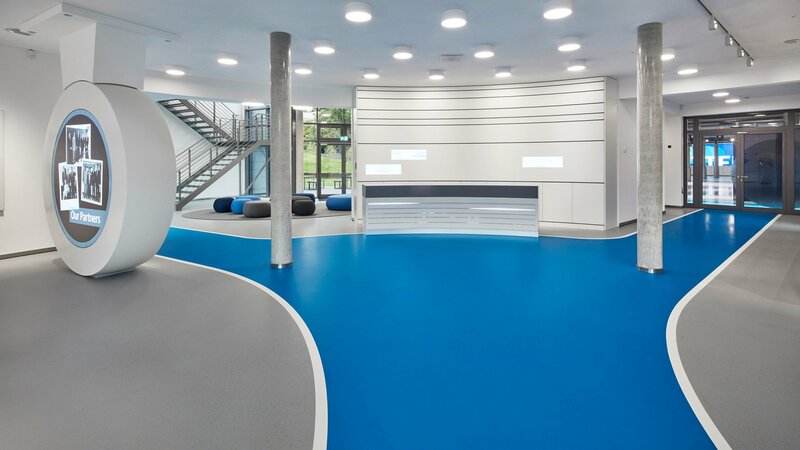 The flooring chosen was Bolidtop® 525, one of Bolidt’s flooring systems with unprecedented design possibilities. This synthetic flooring can be applied in every conceivable pattern, using shapes and colours entirely according to the customer’s wishes. 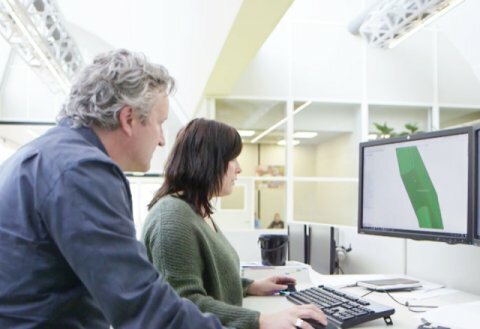 The designers of the Experience Center therefore had complete design freedom and were able to have the track realised exactly in the way they had envisioned it. 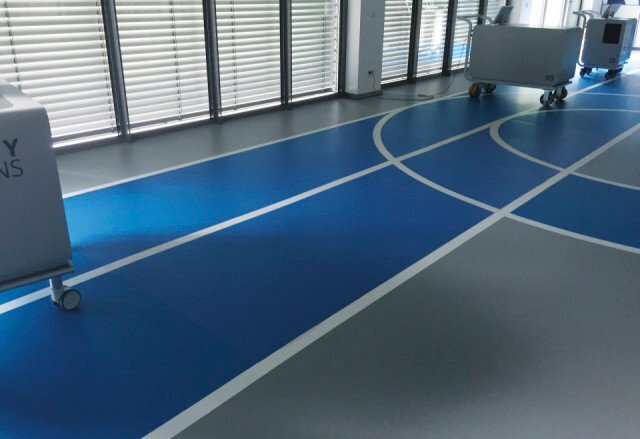 The flooring was installed by Bolidt’s own specialised application teams, thus keeping its design, production and installation all under one roof. The flooring also satisfies the required functional properties: the flooring must be resistant to rolling loads and not interfere with the testing of the castors. So: no distracting squeaking noises when the beds are moved and no bumps or seams in the floor surface. Just like in a real hospital it should be possible to move beds silently without disturbing the patients. The flooring in the Experience Center is completely seamless, allowing hospital beds to be moved across it smoothly. The surface finish is ideally suited to testing the castors as well: it is neither slippery nor too slip resistant. 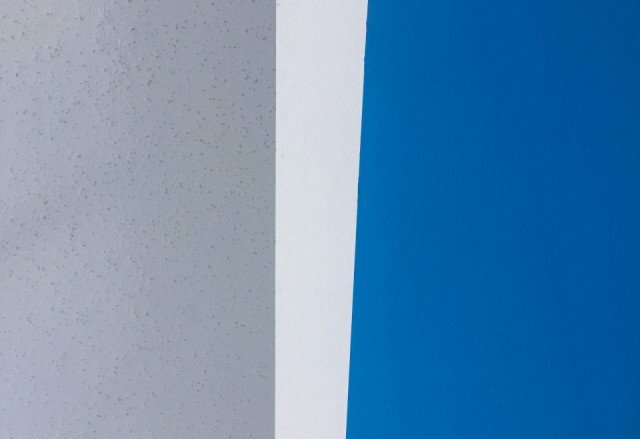 The Bolidtop® 525 system therefore meets both Tente’s aesthetic wishes and functional requirements.